Most of the summit craters are aligned along 3 N-S-trending fissures immediately east of the summit of the volcano. Two craters contain lakes and one contains a lava dome. The largest crater, 250-m-wide Ili Gelimun located SSE of the summit, fed lava flows from a lower south-flank vent. Explosive eruptions occurred from Burak crater during the 19th century. 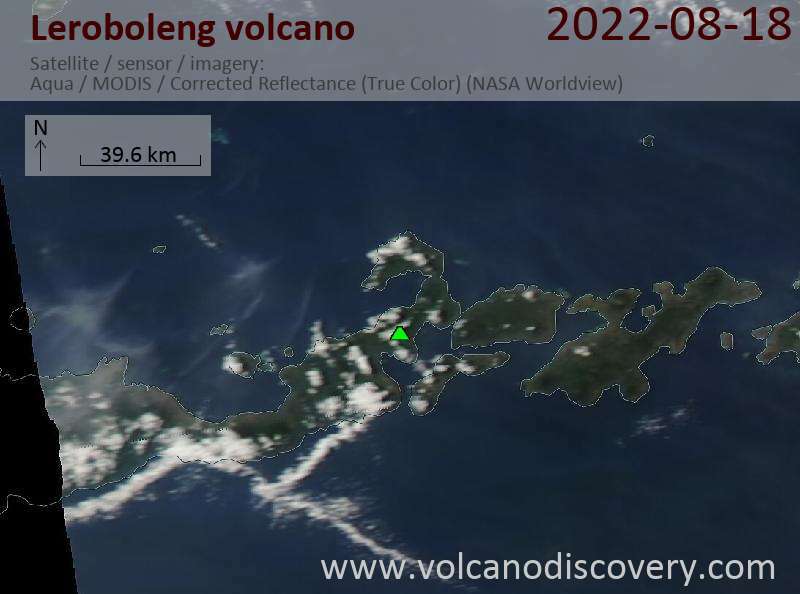 The Leroboleng volcano itself is the easternmost of a 4.5-km-long, WSW-ESE-trending chain of 3 volcanoes forming a narrow peninsula in NE Flores. Qantas airline pilots reported a small ash plume from Leroboleng volcano reaching 6000 ft (2000 m) elevation on 26th June 2003. Another, more powerful eruption was reported by air crews on 29th July 2003. It was said to have lasted 10 minutes and sending ash to an altitude of 7.3 km. 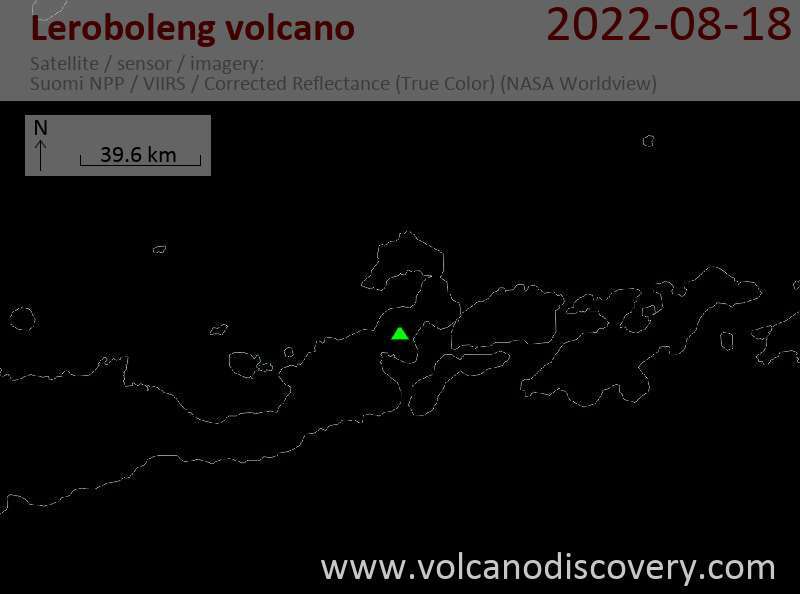 There were no ground reports nor satellite data to supporting these eruption reports, but that is not unusual for many volcanoes in remote areas.